The global constrained layer damping (CLD) market is anticipated to grow at a CAGR of 5.5% between 2018 to 2026. Constrained layer damping are forms of shear-related energy dissipation systems accomplished by interlocking two or more physical materials using a relatively thin viscoelastic layer. Noise and vibrations are normally defined as unpleasant or unwanted disturbances. Noise has been a problem for a long time but in present times the technology in the field of noise reduction has advanced. This is somewhat due to the fact that vibrations and noise problems occur more often while attaining lightweight in designs. Moreover, the consciousness that long-term experience to high sound levels tips to hearing damage and has led to sterner regulations with respect to noise reduction. The total addressable market for constrained layer damping is expected to go up during 2017 from 2016 with a forecast of around US$ 1,160.2 Mn revenue by the year 2026. Constrained layer damping solutions are carried out with the help of a layer of thin damping polymer have been used for a long time as a means to expose damping to a structure. These thin layer constrained layer damping treatments have produced extraordinary results in many purposes. However, due to the surface coarseness of this cover, a conventional thin layer constrained layer damping treatment is not achievable without a step including costly machining. The application of constrained layer damping treatments to cast covers in engine has been grim due to cover’s rough surface finish. In order for a constrained layer treatment to perform properly, the viscoelastic layer must be in touch with the surface. Aspects such as casting finish, and casting tolerances, are the major factors in deciding the performance of constrained layer treatment. The global constrained layer damping market has been segmented based on type, viscoelastic material, product type and end-use industry. On basis of type the market is segmented into passive constrained layer damping and active constrained layer damping. On the basis of viscoelastic material the market is further bifurcated into butyl, vinyl, polyurethane (PU) and others. On the other hand, the constrained layer damping is additionally segmented into product type into steel, non-metallic, aluminum and others. The steel segment is expected to hold a lion’s share in the market owing to its application in the automotive industry. Furthermore, the market is further segmented on the foundation of end-use industry into automotive, aerospace, construction, electronics, marine, healthcare and others. 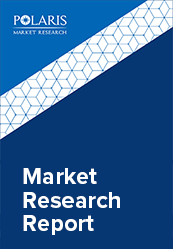 According to Polaris Market Research analysis, automotive end-use industry is expected to dominate the constrained layer damping market. Additionally, the construction segment is expected to be the prime CAGR holder because of rise in construction of commercial and residential complexes across the globe with advanced damping solutions to noise and vibrations. Europe and North America with its favorable government policies and rising healthcare, construction and automotive industry is another prime market for constrained layer damping.